We receive hundreds of new wedding dress donations monthly and we need to make room for new inventory! 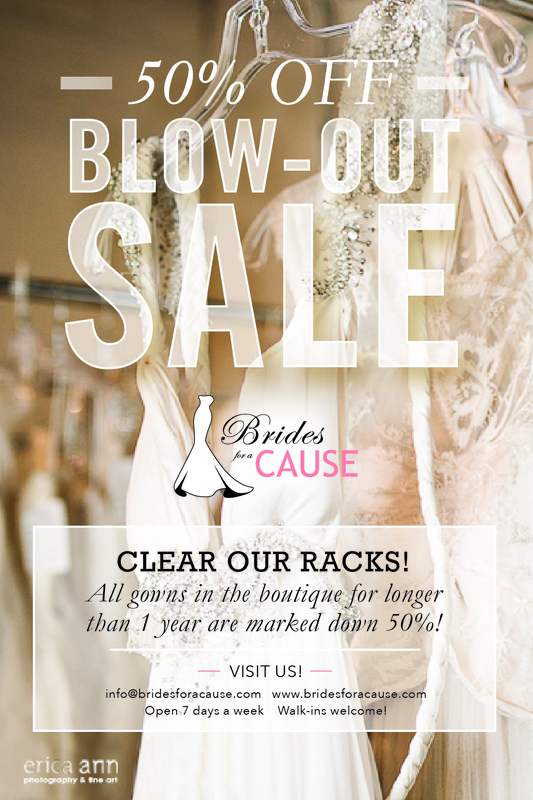 We’re marking down hundreds of gowns an extra 50% off this August! Permanent markdown on the dresses until they are gone! Come early August for the best selection! All locations are open 7 days a week on a walk-in basis! Open 7 days a week! No appointment needed! Come anytime during store hours!